The art of arranging flowers is one that can add a lot of charm to any place you are based at, whether it is the home or the office. Which is probably why women in the past were required to learn how to arrange flowers so that they would have a nice name in the marriage market. While we are not going to be talking about how women were prepared to be an asset in the marriage market in this article, we are definitely going to look at the art of arranging flowers to the best advantage. 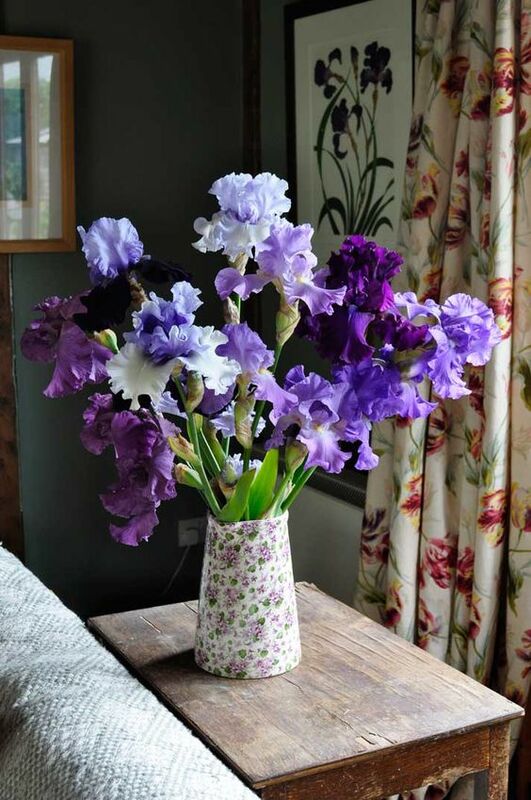 However, this article we will be looking at the importance of pairing the right flowers with the right vase. This way you will have even more creative ways to decorate your house with flowers once you learn how to pair the right vase with the right kind of flowers. 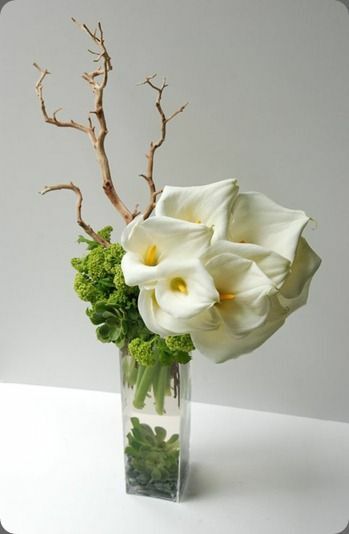 There is a lot to be said about the gracious art of flower arrangement and the beauty of it and how soothing it can be for the person who does it as well as the people who get to look at it. It is a fact that the most squalid of places gets a new breath of life when you have some flowers around it. That is why you should not only learn to arrange flowers to the best advantage but also have an arsenal of fantastic flowerpot ideas to make your favorite so that you spread natural cheer all around. Roses: You will need to remove the leaves and cut the stem while holding the flowers under gently running water. Also ensure that you keep it in a cool place away from the sunlight. The vintage cut, the trumpet, and the fit and flare vases work the best for these beauties. Tulips: You will need to cut the stems at an angle of forty-five degrees and place it in a vase that filled to about third of the way. Keep in a cool place and change the water every day. 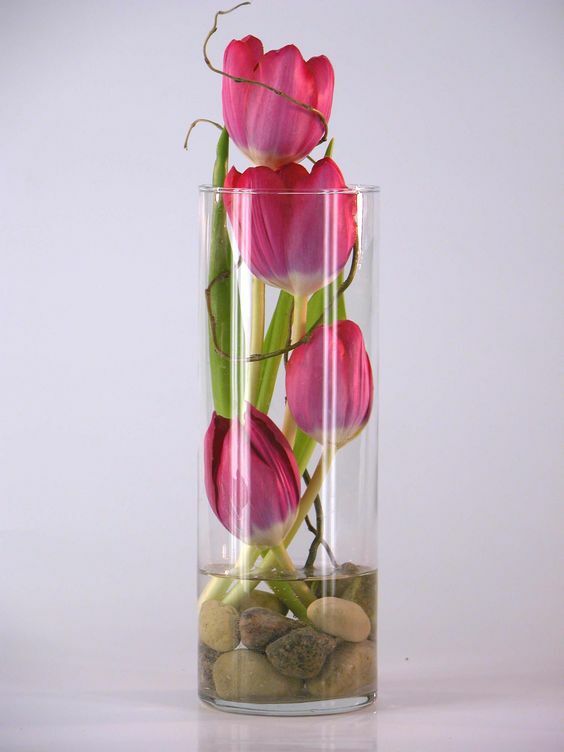 The short and tall cylinder along with the tall square vases are the way to go for tulips. 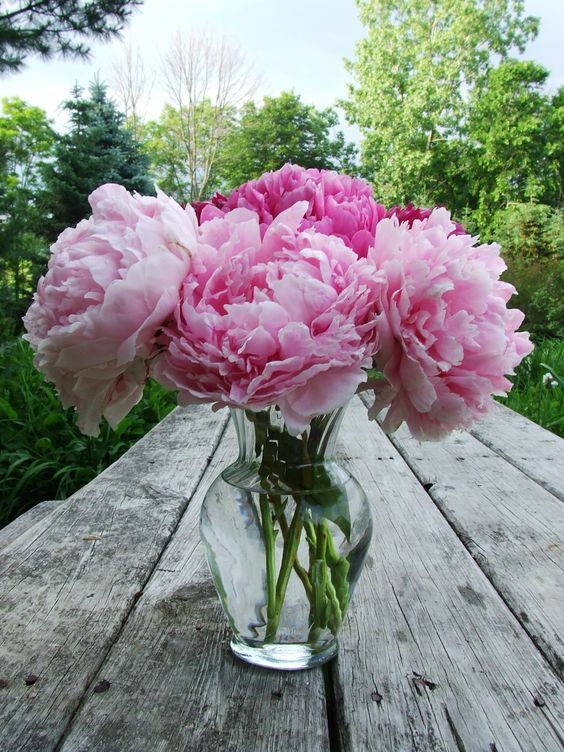 Peonies: Cut the stems diagonally and fill the water up to 3-4 inches and keep changing water once in two or three days. The pedestal, vintage cut, and the bubble vase are the best options for the peony. 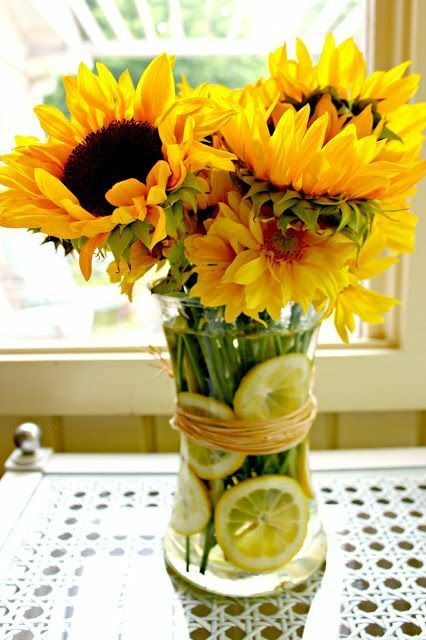 Sunflowers: Cut the stem at a 45-degree angle and leave the stems about 24 inches long. The galvanized pot, the tall cylinder and the mason jar are the best options for these lovely golden flowers. You will need to keep them away from the direct sunlight. 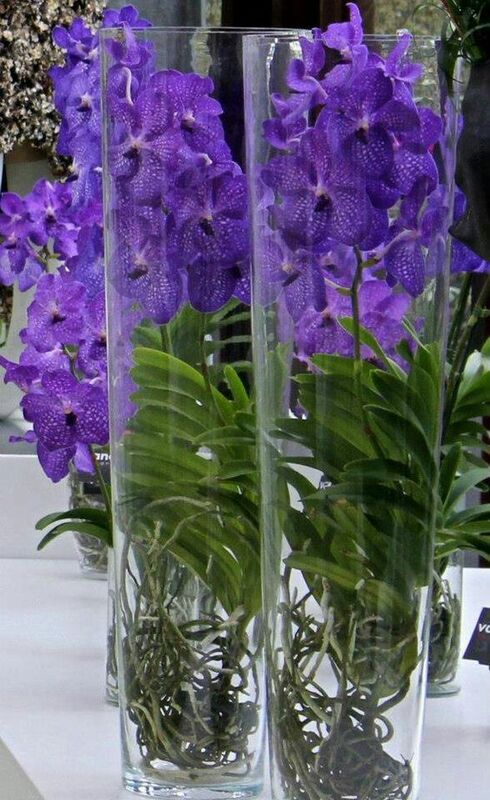 Orchids: You will need to cut off half inch from the base of the stem while keeping them submerged in water. You will also protect these delicate beauties from heat and sun. the bud vase, the fit and flare, and the tall square vases are the best choice for these lovelies. 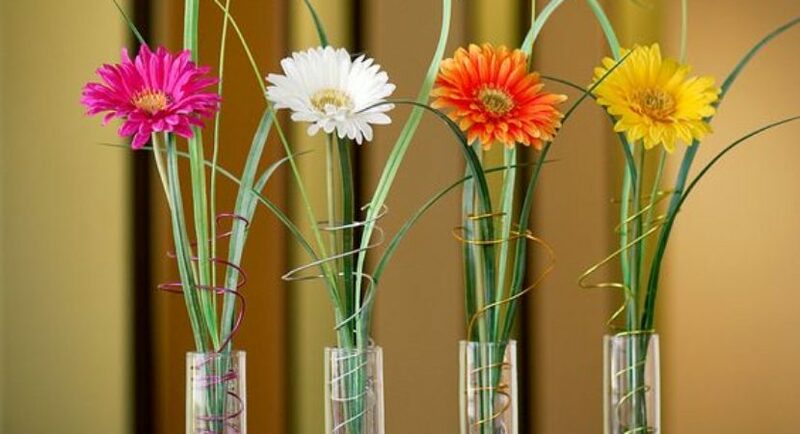 Daisies: Cut at 45-degree angle and keep in a vase full of water and place in a cool place. 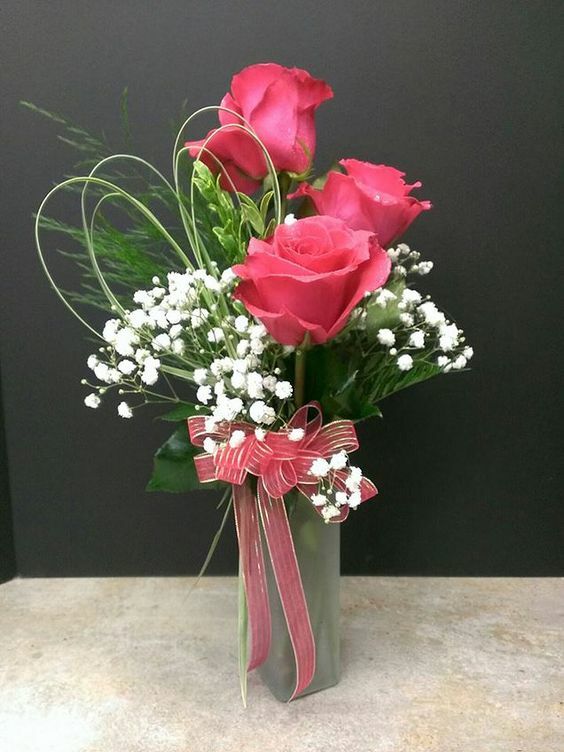 Put these lovely flowers in a mason jar or vintage cute vase or bud vase. Irises: Cut about an inch from the stem and remove the leaves that are below the waterline and keep them away from the sunlight. 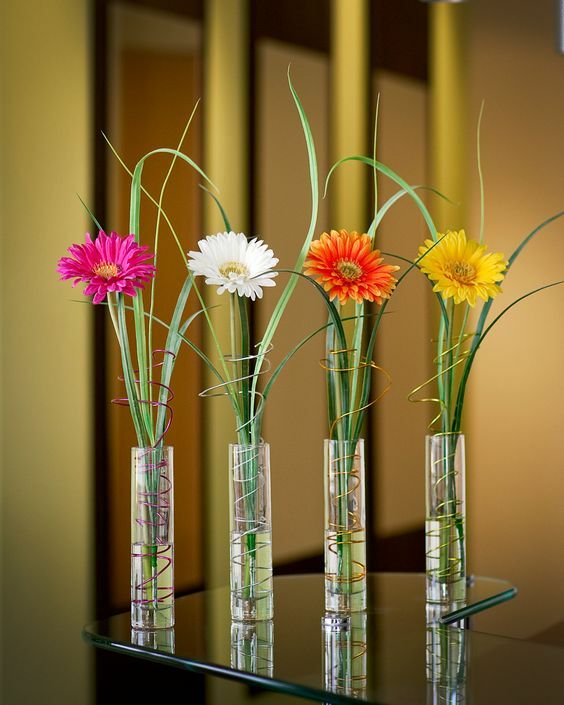 Place the flowers in tall square, tall cylinder or bud vase for best display effects. Lilies: These lovelies also need to be cut at 45-degree angle and remove leaves that will be in water, once they open, remove the pollen from the stamens and keep away from harsh sunlight. Place these in tall square or fit and flare or a bubble vase. 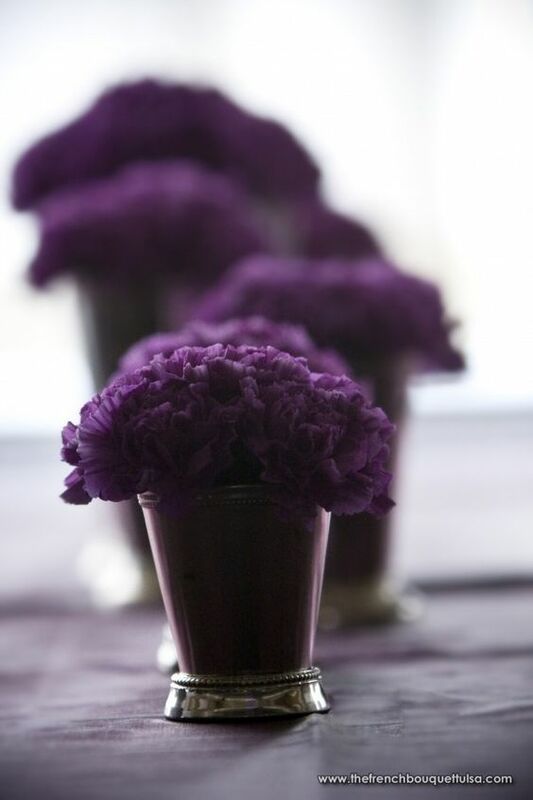 Carnations: Cut at a 45-degree angle about 2-3 inches at the bottom and place them bubble vases or short cylinder or a vintage cut vase for the best effect. Do ensure that these flowers are not kept in harsh sunlight.